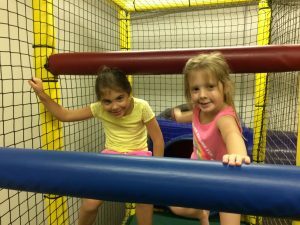 A unique place where kids 1 – 10 years explore, create, and challenge themselves in a soft, safe play environment! Where fun & fitness build up the body and mind. Kids climb cargo nets, slide thru tunnels, jump into a pool of balls and more! If you are a day care or youth organization such as the Scouts, we have the perfect services for you! Please reach out to learn what we can do for you! Great for Birthday Parties, Groups and Field Trips! Indoor climbing is a challenging and fun total body workout – The Ultimate Exercise. An adventure combining Balance, Flexibility, Power and Intrigue! Rock Quest Climbing Gym is used for birthday parties, groups and summer camp. 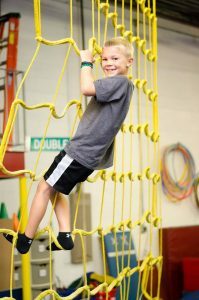 Excellent for ages 6 to 10 year olds, it is combined with the versatility of the facility to provide a fun and adventuresome environment for every climber! Children experience the different aspects of real outdoor rock climbing in a supervised indoor environment. Schedule Your Next Party today! From Warm Ups to Obstacle Courses to Pinata…Fun…Fun…Fun, and of course the Birthday Child is FREE!